Geographic Activities to Foster Geographic Awareness. 1. A fun way to show our Globally Interdependent World:Assign a partner and have the students check the labels on their tops to see where they are made.Do the same for their shoes. Have the students do a safari search with their partner looking for where things in the room were made(ex: crayons, textbook, colored pencils, ruler, etc.). Explain that in a globally interdependent world, we have goods from many parts of the world.Identify the countries mentioned on a world map. Continue by having students find things in their home and where they are made. For example- their television, computer, dinner dishes, favorite jeans, favorite game or sporting equipment.Discuss the countries using a world map for reference and tally up the 4 most popular countries mentioned for products in their homes. 2. Atlas Letter Game: Give groups of students a list of letters from A-Z and an atlas.Have the students find a country, a capital city, river or a mountain range which starts with each letter of the alphabet. Return as a class and tell the students to raise their hand if the same response is given for a letter. Start with A. If more than one group has "Austria" for example, cross out the response and no points are given. If groups have different responses, the teams each earn 2 points. If only one team has a response and no other group has any country, capital city, river or mountain range for the same letter, the team earns 3 points. Continue down th alphabet list reviewing what the groups wrote down on their list of letters. The group with the most points wins! 3. Teaching Latitude and Longitude: Copy the map at this site: https://www.mapsofindia.com/worldmap/latitude-longitude.html or this link:http://www.enchantedlearning.com/geography/world/cylatlongoutlinemap/After explaining coordinates of latitude and Longitude, have students use a crayon to mark N(north) and S(south) above and below the equator and E(east) and W(west) on opposite sides of the Prime Meridian. Explain that Latitude is stated first. Have students place their one hand on the latitude line and the other hand on the longitude line for the coordinates you state.For example, Which continent is 40 degrees N of the Equator and 140 degrees W of the Prime Meridian?(Asia). For younger children. Use colored masking tape and make a grid on the playground. Place 0, 20, 30, 40,50 north and same for south on the latitude lines. Place 0, 15, 30, 45, 60 east and west on the Longitude lines.Have a student stand on the 20 N and another student stand on 15 W. Have them walk together until they meet.Another latitude and longitude activity is to make a grid using the coordinates and having LETTER where they meet. In groups have students figure out a short message from given coordinates using the letter grid. 4. Geographic IQ Game: Prior to this activity, make a number of pictures of a world map, globe and red Xs. Divide the students into 4 groups.Take turns asking a group a geographic question(ex: which is the largest ocean? Name a country on the continent of Europe. What is a peninsula?) If the group give the correct answer, they get a picture of a world map or globe.If wrong, they get a picture of an X. Groups with correct responses can opt to get another world map or globe, or pass an X they may have earned to another team. The team with the most world maps and globes are the geographic IQ game winners! 6. Humpty Dumpty World Mappers: Go to the following website:http://www.jigzone.com/gallery/Mountains Assign groups of students a puzzle on a mountain of the world(such as the Matterhorn). After completing the puzzle, go to a site such as www.factmonster.com and type in the name of the mountain. On an index card, write three facts about the mountain to share with the rest of the class on completion of the activity. Have the students go up to a world map and show the mountain's location. Another activity would be to copy some world maps(see this link:http://www.worldatlas.com. Have 2 students cut up the map. Pass the pieces to another group. Allow time for the students to try and piece their puzzle together. Time their first attempt.Jumble the pieces and solve the puzzle two more times and record the fastest time. 7. Geography Concentration.Have groups make up cards with geographic questions and answers on index cards(ex: Peninsula/ land surrounded by water on three sides,France/capital is Paris ) Have groups share their cards with another group. Students take turns turning over pairs of index cards to find their match. If they find a pair, they continue their turn as long as they find pairs. 8. Country Cards: Give students a card with the following headings:Mountain, River, Resource, Continent and Cool geography fact(such as Iran is the world's leading exporter of pistachio nuts).Have students select a country of the world and find information to fill in the grid card. 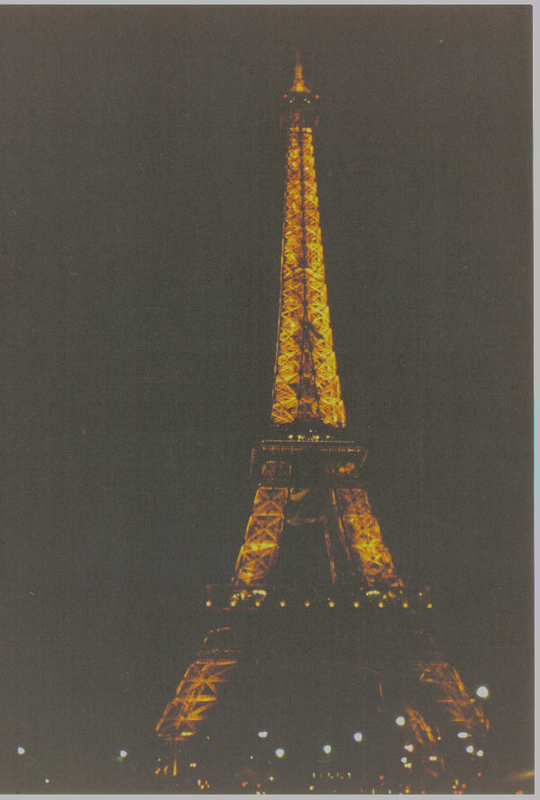 2. http://www.earthcam.com Have students check out a world webcam site such as the Eiffel Tower, Mt. Rushmore, Niagara Falls and more. 3. http://www.educationworld.com/a_lesson/archives/waffenschmidt.shtmlWhere in the World is Mrs.Waffenschmidt? 5. http://www.worldtimezone.com What time is it around the world.